Made from technical fabric that regulates body temperature and will wick moisture away, as well as lifetime odour control through the Polygiene finish. 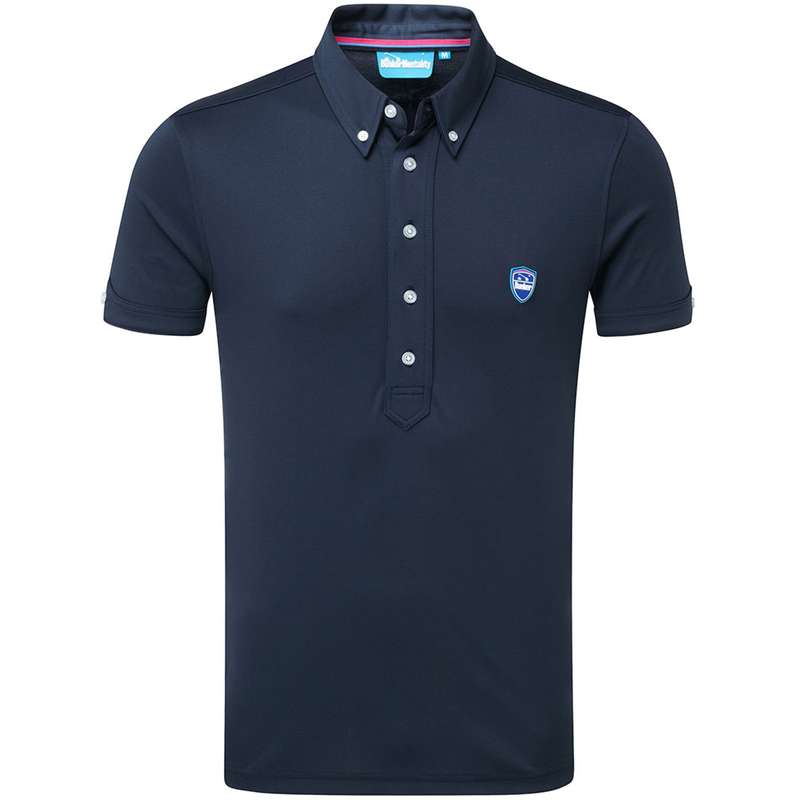 Everything you could ever need from a polo shirt! Exceptional details throughout this long 5 button placket polo, fabric button down collar and straight turnback cuff with notch and button detail. The chest features the unique Bunker Silicon shield on the chest with bunker branding on the back neck. 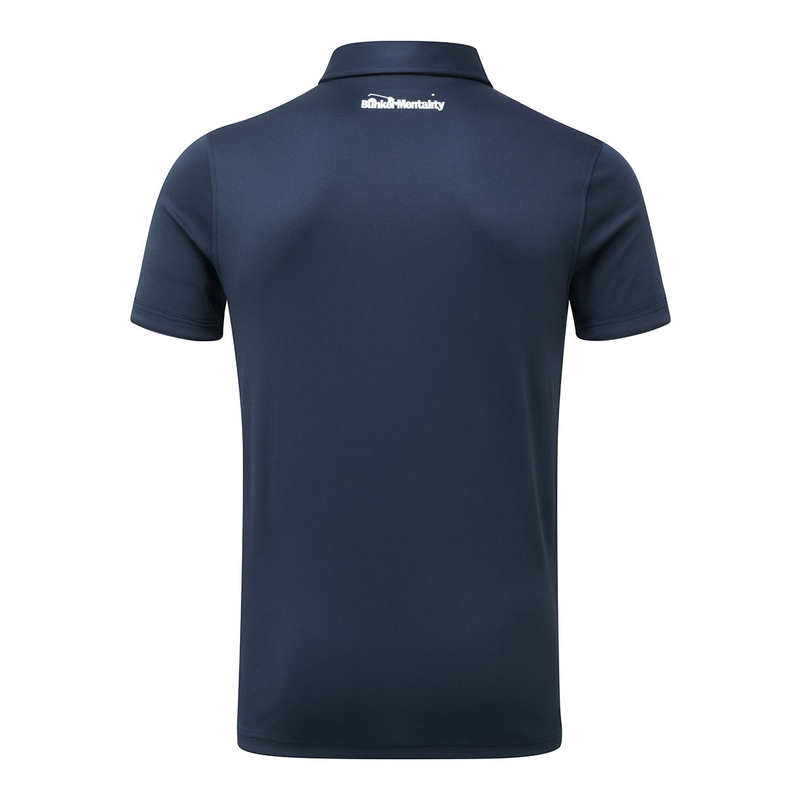 This is a high performance polyester fabric that wicks sweat away from the body to the garments surface where it can then evaporate, keeping you more comfortable and cool during your round of golf. Our CMAX performance product is now combined with our new Polygiene technology, keeping odour free during the most testing of conditions. Polygiene prevents the growth of odour-causing bacteria and fungi at the source, permanently. To do this Polygiene uses low concentrations of silver salt (silver chloride), which has antimicrobial properties and is naturally present in water and soil, to safely eliminate the ability for bacteria and fungi to grow. Extremely breathable fabric lets air circulate and move more freely, which improves cooling and reduces humidity. This is an absolute must for layering as ensuring your outerwear is not too heavy makes a huge difference. The lightweight material ensures less restriction whilst still protecting you against the elements. As a first line of defence against the sun, the UV protection materials blocks harmful exposure to the suns rays whilst remaining lightweight and cool. The wicking technology will keep you cool and dry pulling moisture away from the body, through to the outside where it can evaporate more easily, regulating body temperature during the warmer months.